I am an assistant professor at the Computer Science Department at Indiana University, Bloomington and a founding director of the Center for Algorithms and Machine Learning (CAML). I also hold an adjunct faculty appointment at the Department of Statistics. Use this link to apply to our Ph.D. program. Check this ad and please take a look at my papers prior to contacting me about Ph.D. positions in my group. Internships are available for selected international undergraduate students. See also my diversity statement. Recent theoretical computer science program committees I serve(d) on: APPROX 18, BeyondMR 18, COCOON 17, SODA 17, ESA 16, SOFSEM 15. I also serve(d) on the program committee (as a reviewer) for the following machine learning conferences: NeurIPS ('19, '18, '17, '16), ICML ('19, '18), ICLR ('19, '18), AISTATS ('19), UAI ('19). 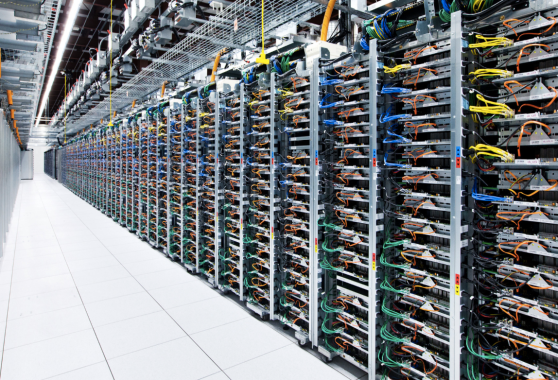 “The Big Data Theory” Blog. Subscribe via RSS. CSCI H343 “Data Structures (honors)”: class at Indiana University, Bloomington that I taught in Spring'18. CSCI B505 “Applied Algorithms”: class at Indiana University, Bloomington that I taught in Fall'17. CSCI B609 “Foundations of Data Science”: class at Indiana University, Bloomington that I taught in Fall'16 and Fall'17. CIS 700 “algorithms for Big Data”: class at the University of Pennsylvania that I developed in Fall'15. CIS 625 “Computational Learning Theory”: class at the University of Pennsylvania in Spring'15 (co-taught with Michael Kearns). The Big Data Reading Group at the University of Pennsylvania in 2014–2015. Algorithms for MapReduce and Beyond: tutorial at CIKM'15 in Melbourne. Sublinear Algorithms for Big Data: 15-hour crash course at the University of Buenos Aires (Summer 2014). Linear Sketching as a Tool for Everything: 1-day workshop at IEEE FOCS (October 14, 2017). 67th Midwest Theory Day: 2-day workshop at Indiana University (April 15–16, 2017). Big Data Through the Lens of Sublinear Algorithms: 2-day workshop at Rutgers University, DIMACS (August 27–28, 2015). Algorithmic Frontiers of Modern Massively Parallel Computation: 1-day workshop at the ACM Federated Computing Research Conference (June 14, 2015). Sublinear Algorithms and Big Data Day: Sublinear Day #1 (Brown University, April 2014), Sublinear Day #2 (MIT, April 2015). '16 – . Assistant Professor. 04/19 – 06/19. Visiting Researcher. Alan Turing Institute, London, UK. '14 – '16. Warren Center Fellow. '13 – '14. ICERM Institute Fellow. 03/15/19: Paper in VLDB 2019: “Multi-Dimensional Balanced Graph Partitioning via Projected Gradient Descent”. 03/11/19: Talk “Advances in Hierarchical Clustering of Vector Data” at Facebook Core Data Science, Menlo Park, CA. 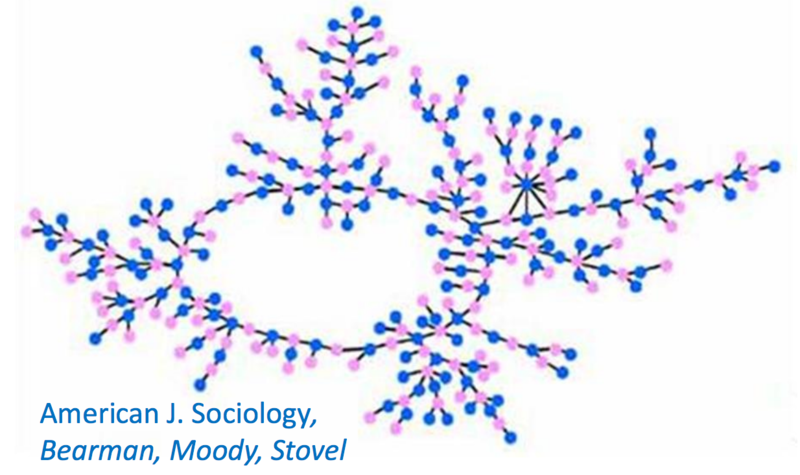 03/06/19: Talk “Advances in Hierarchical Clustering of Vector Data” at the Algorithms and Complexity Seminar, Johns Hopkins University, Baltimore, MD. 03/01/19: Talk “Advances in Hierarchical Clustering of Vector Data” at the Computer Science Seminar, Northwestern University, Evanston, IL. 02/10/19: Preprint “Multi-Dimensional Balanced Graph Partitioning via Projected Gradient Descent”. 12/22/18: Paper in AISTATS 2019: “Hierarchical Clustering for Euclidean Data”. 10/16/18: Talk “Advances in Linear Sketching over Finite Fields at the Simons Institute for the Theory of Computing, Workshop on Interactive Complexity. Berkeley, CA. 09/24/18: Preprint “Optimality of Linear Sketching under Modular Updates”. 09/14/18: Talk “Linear Sketching for Functions over Boolean Hypercube” at the Theory Seminar, University of Michigan, Ann Arbor, MI. 08/07/18: Talk “Massively Parallel Algorithms and Hardness for Single-Linkage Clustering Under ℓp-Distances” at IBM Research Almaden, San Jose, CA. 07/12/18: Talk “Massively Parallel Algorithms and Hardness for Single-Linkage Clustering Under ℓp-Distances” at the 35 International Conference on Machine Learning (ICML'18). 06/22/18: Talk “Linear Sketching for Functions over Boolean Hypercube” at the 33rd Conference on Computational Complexity (CCC'18). 06/14/18: Talk “Badger Rampage: Multidimensional Balanced Partitioning of Facebook-Scale Graphs” at the 2nd Workshop on Local Algorithms at MIT, Cambridge, MA. 05/17/18: Talk “Massively Parallel Algorithms and Hardness for Single-Linkage Clustering Under ℓp-Distances” at the Stanford Theory Seminar. 05/11/18: Paper in ICML'18: Massively Parallel Algorithms and Hardness for Single-Linkage Clustering Under ℓp-Distances as a long talk (8.6% acceptance rate). 04/13/18: Talk “Linear Sketching for Functions over Boolean Hypercube” at the 68th Midwest Theory Workshop, Toyota Technological Institute, Chicago, IL. 04/04/18: Paper in CCC'18: Linear Sketching over F2. 03/20/18: Talk “Massively Parallel Algorithms and Hardness for Single-Linkage Clustering Under ℓp-Distances” at the Workshop on Data Summarization, University of Warwick, UK. 03/09/18: The Center for Algorithms and Machine Learning (CAML) at IU has been officially launched! 12/19/17: I am on the program committee of APPROX 2018 (21st International Workshop on Approximation Algorithms for Combinatorial Optimization Problems). 11/22/17: Thanks to Facebook for supporting me with a Facebook Faculty Research Award! 10/19/17: I am on the program committee of BeyondMR 2018 (5th Workshop on Algorithms and Systems for MapReduce and Beyond at SIGMOD/PODS'18). 10/14/17: Talk “Linear Sketching for Functions over Boolean Hypercube” at the FOCS'17 workshop Linear Sketching as a Tool for Everything. 10/14/17: Co-organizing the Linear Sketching as a Tool for Everything workshop at IEEE FOCS 2017. 10/13/17: Talk “Clustering on Clusters 2049: Massively Parallel Algorithms for Clustering Graphs and Vectors” at Facebook, Menlo Park, CA. 10/05/17: Preprint Massively Parallel Algorithms and Hardness for Single-Linkage Clustering Under ℓp-Distances . 06/15/17: Departmental Colloquium “Computational and Communication Complexity In Massively Parallel Computing” at ITMO University, St. Petersburg, Russia. 06/14/17: Talk “Computational and Communication Complexity In Massively Parallel Computing” at Higher School of Economics, Moscow, Russia. Workshop on Complexity of Computation, Communication, Descriptions and Proofs. 06/03/17 – 06/04/17: Crash course “Modern algorithms for parallel, streaming and query-based data processing” at Computer Science Club, St. Petersburg, Russia. 06/02/17: Talk Linear Sketching with Parities at St. Petersburg Department of Steklov Institute of Mathematics, St. Petersburg, Russia. 05/23/17: Talk Linear Sketching with Parities at Kolmogorov Seminar, Moscow State University, Russia. 04/15/17 – 04/16/17: Co-organizing the 67th Midwest Theory Day at Indiana University. 03/21/17: Talk Linear Sketching with Parities at Banff Workshop on Communication Complexity and Applications. 02/09/17: Talk “Clustering on Clusters: Massively Parallel Algorithms for Clustering Graphs and Vectors” at Facebook, Menlo Park, CA. 01/24/17: NSF CRII award “Algorithms for Noise-Tolerant Function Testing with Applications to Deep Learning” as a sole PI. 11/21/16: Talk Linear Sketching with Parities at Columbia University, New York, NY. 11/07/16: Preprint Linear sketching over F2. See also a related blog post. 10/21/16: Talk Linear Sketching with Parities at University of Pennsylvania, Philadelphia, PA.
09/09/16: Talk Linear Sketching with Parities at University of Utah, Salt Lake City, UT. 08/12/16: Talk Linear Sketching with Parities at University of Illinois, Urbana, IL. 06/29/16: Talk Linear Sketching with Parities at Microsoft Research, Redmond, WA. 06/26/16 — 07/02/16: I am visiting the Theory Group at Microsoft Research, Redmond. 05/30/16: I am on the program committee of COCOON 2017 (23rd International Computing and Combinatorics Conference). 03/09/16: Departmental Colloquium “What's New in The Big Data Theory?” at Drexel University, Philadelphia, PA.
03/05/16: Spotlight story “Balancing Security and Privacy in Network Analysis” on the Penn front page. 02/29/16: Departmental Colloquium “What's New in The Big Data Theory?” at Boston University, Boston, MA. 02/25/16: Departmental Colloquium “What's New in The Big Data Theory?” at University of Colorado, Boulder, CO.
02/22/16: Departmental Colloquium “What's New in The Big Data Theory?” at Indiana University, Bloomington, IN. 02/18/16: Departmental Colloquium “What's New in The Big Data Theory?” at Georgetown University, Washington, DC. 02/08/16: Departmental Colloquium “What's New in The Big Data Theory?” at College of William and Mary, Williamsburg, VA.
01/08/16: Talk “Lp-Testing” at the Johns Hopkins University workshop on sublinear algorithms. See also open problems. 12/22/15: I am on the program committee of SODA 2017 (28th Annual ACM-SIAM Symposium on Discrete Algorithms). 11/24/15: Paper “Privacy for the Protected (Only)” accepted to PNAS (Proceedings of the National Academy of Sciences) via direct submission. 10/19/15: Algorithms for MapReduce and Beyond: tutorial at CIKM'15 in Melbourne. 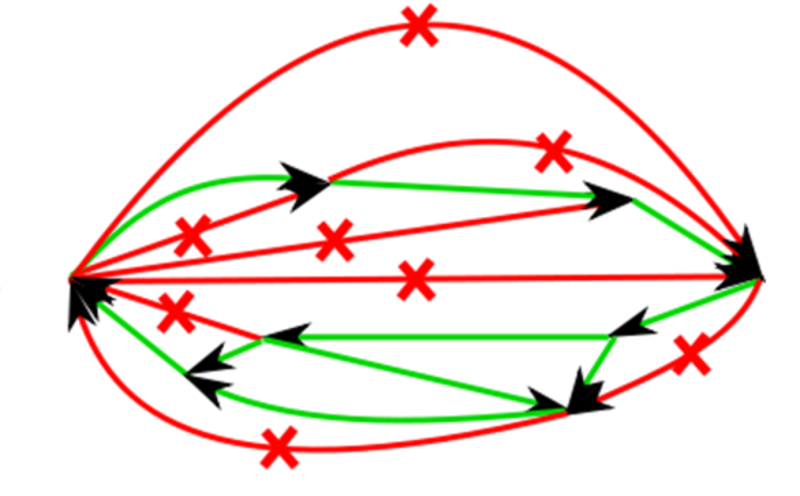 09/11/15: Paper in SODA'16: Tight Bounds on Linear Sketches of Approximate Matchings. 08/27/15 — 08/28/15: Co-organizing the “Big Data Through the Lens of Sublinear Algorithms” workshop at Rutgers University, DIMACS. 08/26/15: I am teaching CIS 700: algorithms for Big Data at the University of Pennsylvania in Fall'15. 08/22/15: I am on the program committee of ESA 2016, Track A (24th European Symposium on Algorithms). 08/06/15: Talk “Fast Fourier Sparsity Testing over the Boolean Hypercube” at the Univeristy of Wisconsin, Madison. 07/15/15: Talk “Parallel Algorithms for Geometric Graph Problems” at ISMP 2015 (22nd International Symposium on Mathematical Programming). 06/14/15: Co-organizing the “Algorithmic Frontiers of Modern Massively Parallel Computation” workshop at FCRC 2015 (Federated Computing Research Conference). 06/01/15: Preprint: Privacy for the Protected (Only). 05/06/15: Preprint: Tight Bounds on Linear Sketches of Approximate Matchings. 05/04/15: Talk “Near Optimal LP Rounding for Correlation Clustering” at Cornell University, Ithaca, NY. 04/14/15: Paper in ICALP'15: Amplification of One-Way Information Complexity via Codes and Noise Sensitivity. 04/10/15: Second “Sublinear Algorithms and Big Data Day” at MIT. 04/09/15: Talk “Near Optimal LP Rounding for Correlation Clustering” at MIT, Boston, MA. 03/12/15: Talk “Near Optimal LP Rounding for Correlation Clustering” at Microsoft Research, Redmond, WA. 03/06/15: Preprint: Amplification of One-Way Information Complexity via Codes and Noise Sensitivity. 02/17/15: Google Tech Talk “Near Optimal LP Rounding for Correlation Clustering” at Google, NYC. 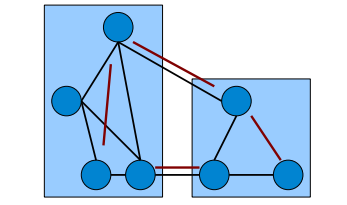 02/03/15: Paper in STOC'15: Near Optimal LP Rounding Algorithm for Correlation Clustering on Complete and Complete k-partite Graphs. 01/28/15: Talk “Near Optimal LP Rounding for Correlation Clustering” at Rutgers University, New Brunswick, NJ. 01/21/15: Talk “ Near Optimal LP Rounding for Correlation Clustering” at Carnegie Mellon University, Pittsburgh, PA.
01/20/15: Talk “ Near Optimal LP Rounding for Correlation Clustering ” at Pennsylvania State University, State College, PA.
12/02/14: Preprint: Near Optimal LP Rounding Algorithm for Correlation Clustering on Complete and Complete k-partite Graphs. 11/19/14: Talk “Parallel Algorithms for Geometric Graph Problems” at Johns Hopkins University, Baltimore, MD. 10/30/14: Talk “Parallel Algorithms for Geometric Graph Problems” at University of Maryland, College Park, MD. 10/24/14: Talk “Lp-Testing” at Columbia University, New York, NY. 10/12/14: I have started a blog The Big Data Theory, which will cover algorithms for large data processing. 09/12/14: I am organizing the Big Data Reading Group at the University of Pennsylvania. 08/29/14: Talk “Parallel Algorithms for Geometric Graph Problems” at the University of Pennsylvania, Philadelphia, PA.
08/15/14: I am organizing the Computer and Information Sciences Theory Seminar at the University of Pennsylvania. 07/28/14 — 08/01/14: I was teaching a 15-hour crash course “Sublinear Algorithms for Big Data” at the 28th International School on Informatics ECI 2014 at the University of Buenos Aires, Argentina. 07/30/14: Preprint: Going for Speed: Sublinear Algorithms for Dense r-CSPs. 07/16/14: Talk “Beyond Set Disjointness: the Communication Complexity of Finding the Intersection” at the 33rd Annual ACM SIGACT-SIGOPS Symposium on Principles of Distributed Computing (PODC 2014), Paris, France. 06/13/14: Talk “Lower Bounds for Testing Properties of Functions over Hypergrids” at the 29th IEEE Conference on Computational Complexity (CCC 2014), Vancouver, BC. 06/06/14: Paper in RANDOM'14: Certifying Equality with Limited Interaction. 06/01/14: Talk “Lp-Testing” at the 46th ACM Symposium on the Theory of Computing (STOC 2014), New York, NY. 05/19/14: Talk “Parallel Algorithms for Geometric Graph Problems” at the University of Massachusetts, Amherst, MA. 05/16/14: Talk “Beyond Set Disjointness: the Communication Complexity of Finding the Intersection ” at MIT Theory of Distributed Systems Seminar, Boston, MA. 04/28/14: I am on the PC for the 41st International Conference on Current Trends in Theory and Practice of Computer Science (SOFSEM'15), Foundations of Computer Science Track (chair: Roger Wattenhofer). Deadlines are here. 04/20/14: Paper in PODC'14: Beyond Set Disjointness: The Communication Complexity of Finding the Intersection. 04/18/14: I organized the Sublinear Algorithms and Big Data Day at Brown ICERM. 04/03/14: Google Tech Talk “ Parallel Algorithms for Geometric Graph Problems ” at Google Research, NYC. 03/27/14: Talk “Parallel Algorithms for Geometric Graph Problems” at Stanford University, Stanford, CA. 03/25/14: Talk “Parallel Algorithms for Geometric Graph Problems” at Sandia Labs, Livermore, CA. 03/05/14: Talk “The Big Data Theory and Randomized Algorithms” at Georgia Tech, Atlanta. 02/25/14: Talk “Approximating Graph Problems: The Old and The New” at Yahoo! Research, NYC. 02/19/14: Talk “Approximating Graph Problems: The Old and The New” at MIT Algorithms and Complexity Seminar. 02/17/14: Talk “Approximating Graph Problems: The Old and The New” at Toyota Technological Institute at Chicago. First “MapReduce” paper in STOC/FOCS. First property testing paper for noisy real-valued data. First paper with communication complexity lower bounds for testing properties of functions on hypergrids. ICML 2018 (35th International Conference on Machine Learning). Long talk (8.6% acceptance rate). Code on Github (by Adithya Vadapalli). Linear Sketching over F2 [Preprint on ECCC]. CCC 2018 (33rd Conference on Computational Complexity). Blog post on “The Big Data Theory”. PNAS 2016 (Proceedings of the National Academy of Sciences), via direct submission. Spotlight story on the Penn front page: Balancing Privacy and Security in Network Analysis. External media coverage: PBS Newshour, ACM Tech News / The Daily Pennsylvanian, Schneier on Security, AAU, Quartz, Pacific Standard, Wired (German), The Naked Scientists Podcast and Vice Motherboard. STOC 2015 (47th ACM Symposium on the Theory of Computing). See the Wikipedia article on correlation clustering for more details. For applications in data mining see a Yahoo! KDD'14 tutorial by Francesco Bonchi, David Garcia-Soriano and Edo Liberty. STOC 2014 (46th ACM Symposium on the Theory of Computing). Simple introduction by Sofya Raskhodnikova in the Encyclopedia of Algorithms (Springer). Open problems from JHU workshop on Sublinear Algorithms [pptx, pdf]. Oded Goldreich's review on “My Choices”. Property Testing Review Post 1, Post 2. Notes by Kui Tang from Alex Andoni's Algorithmic Techniques for Massive Data Course at Columbia. VLDB 2011, Research track (37th International Conference on Very Large Data Bases). Full version in ACM Transactions on Database Systems. ICALP 2011, Track A (38th International Colloquium on Automata, Languages and Programming), special issue of “Information and Computation”. Runner-up for the Best Paper Award. Open Problem #2 from the Princeton Workshop on Approximation Algorithms. See also my slides. SAT 2009 (12th International Conference on Theory and Applications of Satisfiability Testing). 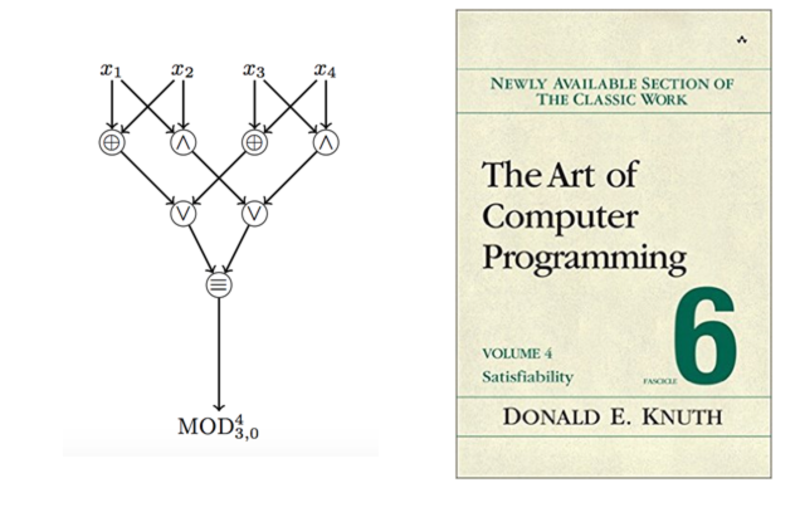 Cited multiple times in Volume 4B of Donald E. Knuth's “The Art of Computer Programming”. Notes by Ryan Williams from his class Topics in Circuit Complexity at Stanford. Multi-Dimensional Balanced Graph Partitioning via Projected Gradient Descent. VLDB 2019, Research track (45th International Conference on Very Large Data Bases). AISTATS 2019 (22nd International Conference on Artificial Intelligence and Statistics). SODA 2016 (27th Annual ACM-SIAM Symposium on Discrete Algorithms). ICALP 2015, Track A (42nd International Colloquium on Automata, Languages and Programming). RANDOM 2014 (18th International Workshop on Randomization and Computation). PODC 2014 (33rd Annual ACM SIGACT-SIGOPS Symposium on Principles of Distributed Computing). CCC 2014 (29th IEEE Conference on Computational Complexity). SODA 2013 (24th Annual ACM-SIAM Symposium on Discrete Algorithms). ICDE 2013 (29th IEEE International Conference on Data Engineering). APPROX 2012 (15th International Workshop on Approximation Algorithms for Combinatorial Optimization Problems). ICALP 2011, Track A (38th International Colloquium on Automata, Languages and Programming). * Indicates papers with non-alphabetical ordering of authors. 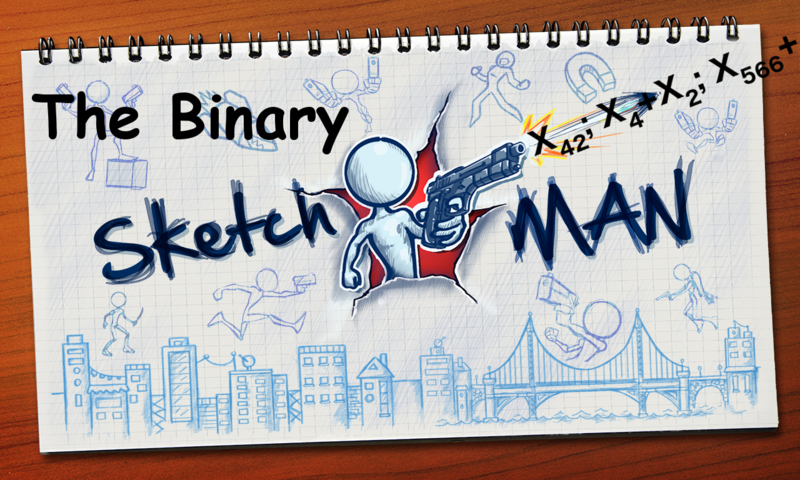 Optimality of Linear Sketching under Modular Updates. Approximate F2-Sketching of Valuation Functions. Online Algorithms for Machine Minimization [Preprint on arXiv]. Facebook Core Data Science, Menlo Park, CA. March 11, 2019. Johns Hopkins University, Baltimore, MD. Algorithms and Complexity Seminar. March 06, 2019. Northwestern University, Evanston, IL. Computer Science Seminar. March 01, 2019. Simons Institute for the Theory of Computing. Interactive Complexity Workshop. Berkeley, CA. October 16, 2018. MIT, Cambridge, MA. 2nd Workshop on Local Algorithms. June 14, 2018. IBM Research Almaden, San Jose, CA. Theory Seminar. August 07, 2018. 35th International Conference on Machine Learning (ICML'18), Stockholm, Sweden. July 12, 2018. Stanford University, Stanford, CA. Theory Seminar. May 17, 2018. University of Warwick, UK. “Workshop on Data Summarization”. March 20, 2018. University of Michigan, Ann Arbor, MI. Theory Seminar. September 14, 2018. Toyota Technologicial Insitute. 68th Midwest Theory Day. Chicago, IL. April 13, 2018. 58th Annual Symposium on Foundations of Computer Science (FOCS 2017). Workshop “Linear Sketching as a Tool for Everything”, Berkeley, CA. October 14, 2017. Facebook, Menlo Park, CA. Tech Talk. October 13, 2017. ITMO University, St. Petersburg, Russia. Departmental Colloquium. June 15, 2017. 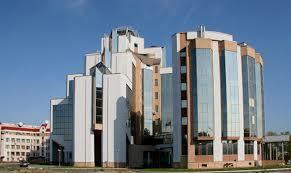 Higher School of Economics, Moscow, Russia. Workshop on Complexity of Computation, Communication, Descriptions and Proofs. June 14, 2017. Facebook, Menlo Park, CA. Tech Talk. February 09, 2017. 33rd Conference on Computational Complexity (CCC'18), San Diego, CA. June 22, 2018. St. Petersburg Department of Steklov Institute of Mathematics of the Russian Academy of Sciences. Theory Seminar. June 02, 2017. Moscow State University, Moscow, Russia. Kolmogorov Seminar on Theoretical Computer Science. May 22, 2017. Banff International Research Station, Banff, Canada. Workshop on Communication Complexity and Applications. March 20, 2017. Columbia University, New York, NY. Theory Seminar. November 21, 2016. University of Pennsylvania, Philadelphia, PA. Theory Seminar. October 21, 2016. University of Utah, Salt Lake City, UT. Theory Seminar. September 09, 2016. University of Illinois. Urbana, IL. Theory Seminar. August 12, 2016. Microsoft Research. Redmond, WA. Theory Seminar. June 29, 2016. What's New in “The Big Data Theory”? Drexel University, Philadelphia, PA. Departmental Colloquium. March 09, 2016. Boston University, Boston, MA. Departmental Colloquium. February 29, 2016. University of Colorado, Boulder, CO. Departmental Colloquium. February 25, 2016. Indiana University, Bloomington, IN. Departmental Colloquium. February 22, 2016. Georgetown University, Washington, DC. Departmental Colloquium. February 18, 2016. College of William and Mary, Williamsburg, VA. Departmental Colloquium. February 08, 2016. University of Wisconsin, Madison. Theory Seminar. August 06, 2015. Cornell University, Ithaca, NY. Theory Seminar. May 04, 2015. MIT, Boston, MA. Algorithms and Complexity Seminar. April 09, 2015. Microsoft Research, Redmond, WA. March 12, 2015. Google Research, NYC. Google Tech Talk. February 17, 2015. Rutgers University, New Brunswick, NJ. Theory Seminar. January 28, 2015. Carnegie Mellon University, Pittsburgh, PA. Theory Lunch. January 21, 2015. Pennsylvania State University, State College, PA. Departmental colloquium. January 20, 2015. 29th IEEE Conference on Computational Complexity (CCC 2014), Vancouver, BC. June 13, 2014. 33rd Annual ACM SIGACT-SIGOPS Symposium on Principles of Distributed Computing (PODC 2014), Paris, France. MIT, Boston, MA. Theory of Distributed Systems Seminar. May 16, 2014. Georgia Tech, Atlanta, GA. March 05, 2014. Yahoo! Research, NYC. February 25, 2014. MIT, Boston, MA. Algorithms and Complexity Seminar. February 19, 2014. Toyota Technological Institute, Chicago, IL. February 17, 2014. Brown University, Providence, RI. ICERM Theory Seminar. January 31, 2014. Johns Hopkins University, Sublinear Algorithms Workshop. January 08, 2016. Columbia University, Theory seminar. October 24, 2014. 46th ACM Symposium on Theory of Computing (STOC 2014). June 01, 2014. Microsoft Research, Redmond, Theory lunch. January 08, 2014. Harvard University, Theory seminar. November 12, 2013. Brown University, Providence, RI. Theory seminar. November 1, 2013. IBM Almaden Research Center, San Jose, CA. Theory seminar. October 25, 2013. MIT, Boston, MA. Algorithms and Complexity Seminar. September 11, 2013. Aarhus University, Denmark. Theory seminar. May 22, 2013. MIT, Boston, MA. Algorithms and Complexity seminar. December 13, 2012. Princeton University, Princeton, NJ. Theory lunch. November 16, 2012. 53rd IEEE Symposium on Foundations of Computer Science (FOCS 2012). Poster session. October 22, 2012. 22nd International Symposium on Mathematical Programming (ISMP 2015). July 15, 2015. Johns Hopkins University, Baltimore, MD. Algoritms and Complexity Seminar. November 19, 2014. University of Maryland, College Park, MD. Capital Area Theory Seminar. October 30, 2014. University of Pennsylvania, Philadelphia, PA. Theory Seminar. August 29, 2014. University of Massachusetts, Amherst, MA. Theory Seminar. May 19, 2014. Google Research, NYC. Google Tech Talk. April 04, 2014. Sandia Labs, Livermore, CA. March 27, 2014. Stanford University, Stanford, CA. March 25, 2014. Microsoft Research, SVC, Mountain View, CA. Lab meeting. October 17, 2012. Microsoft Research, Redmond. Theory seminar. June 11, 2013. University of Melbourne, Australia. Theory seminar. April 19, 2013. UCLA, Los Angeles, CA. Theory seminar. February 04, 2013. 24th ACM-SIAM Symposium on Discrete Algorithms (SODA 2013). January 08, 2013. Weizmann Institute of Science, Rehovot, Israel. December 30, 2012. Harvard University, Boston, MA. Theory of Computing seminar. December 10, 2012. Carnegie-Mellon University, Pittsburgh, PA. Theory Lunch. December 05, 2012. Carnegie-Mellon University, Pittsburgh, PA. Tepper School of Business, Operations Research Seminar. December 07, 2012. New York Computer Science and Economics Day 2012, Poster session. December 3, 2012. IBM T.J. Watson Research Cetner, Yorktown Heights, NY. IP for Lunch. November 14, 2012. Columbia University, NYC. Theory seminar. October 26, 2012. Microsoft Research, Silicon Valley. Theory seminar. October 10, 2012. EPFL, Lausanne, Switzerland. Algorithmic Frontiers Workshop, poster session. June 2012. IBM Almaden Research Center, San Jose, CA. Theory seminar. May 2012. 44th ACM Symposium on the Theory of Computing (STOC 2012). Poster session. May 2012. 15th International Workshop on Approximation Algorithms for Combinatorial Optimization Problems (APPROX 2012). August 2012. Advances in Directed Spanners [Slides: (pdf)]. University of Sydney, Australia. Theory seminar. April 9, 2013. Carnegie-Mellon University, Theory Lunch, November 2011. University of Maryland, Capital Area Theory Seminar, November 2011. AT&T Labs --- Research, Florham Park, NJ. August 2011. 37th International Conference on Very Large Data Bases (VLDB 2011), Research track. August 2011. AT&T Labs --- Research, Florham Park, NJ. Mathematics Research Colloquium and Informal Seminar. June 2011. Moscow State University. Combinatorial optimization seminar. May 2011. IBM T.J. Watson Research Center, Yorktown Heights, NY. IP for lunch. April 2011. St. Petersburg Institute of Fine Mechanics and Optics. Theory seminar. December 2010. 38th International Colloquium on Automata, Languages and Programming (ICALP 2011),Track A. July 2011. Pennsylvania State University. Theory seminar. April 2010. I've been teaching CSCI-H343 (Data Structures, honors) at Indiana University, Bloomington in Spring 2018. I've been teaching CSCI-B505 (Applied Algorithms) at Indiana University, Bloomington in Fall 2017. Short tutorial Clustering on Clusters: Massively Parallel Algorithms for Clustering Graphs and Vectors at Facebook, Menlo Park, CA, Spring 2017. I have developed CSCI-B609, Foundations of Data Science (graduate) at Indiana University, Bloomington, Fall 2016 and Fall 2017. Guest lecturer at CIS 399, Foundations of Data Science (undergraduate) at the University of Pennsylvania, Spring 2016. Massively Parallel Algorithms. Slides (pdf). I have developed CIS 700, Algorithms for Big Data (graduate) at the University of Pennsylvania, Fall 2015. Co-teaching CIS 625, Computational Learning Theory (graduate, together with Michael Kearns) at the University of Pennsylvania, Spring 2015. Lecture 1: Fourier Analysis and Learning, Part 1. Slides (pdf). Lecture 2: Fourier Analysis and Learning, Part 2. Slides (pdf). Lecture 3: Learning Submodular Functions. Slides (pdf). 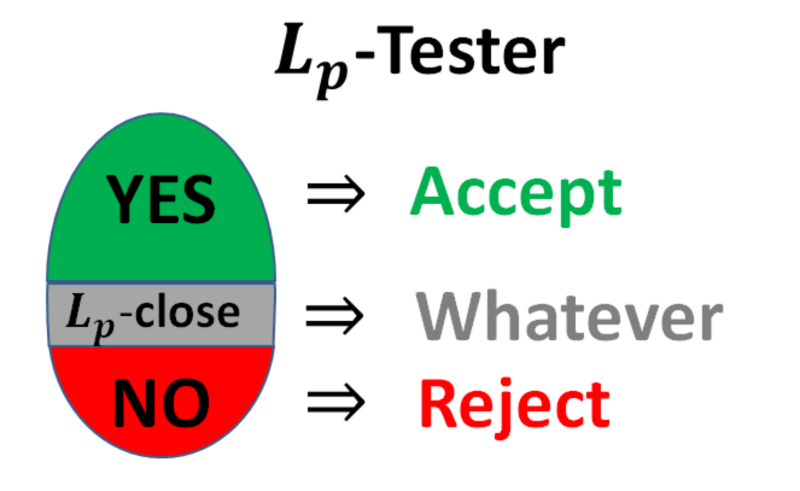 Lecture 4: Lp-Testing. Slides (pdf). I have developed Sublinear Algorithms for Big Data: 15-hour crash course at the University of Buenos Aires, July 2014. Guest lecturer at CMPSC 464, Introduction to the Theory of Computation (undergraduate) at Pennsylvania State University, Fall 2010. 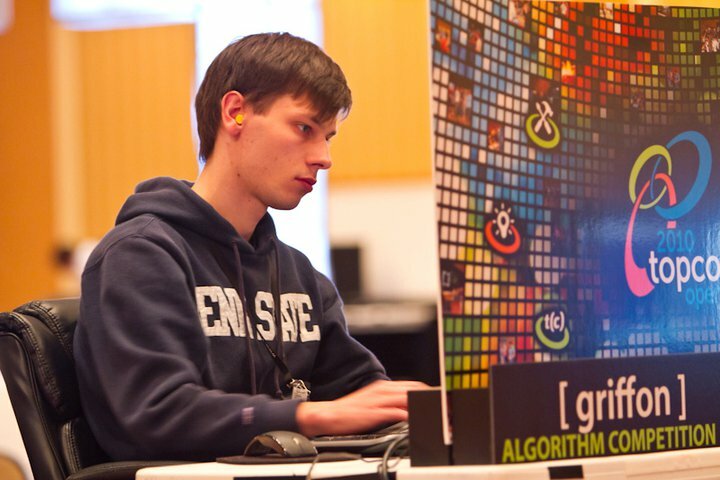 I participated in ACM ICPC and TopCoder competitions (as griffon) competing and setting problems in TopCoder Open Algorithms Finals. I was teaching advanced classes in algorithms for high-school students for ~5 years, coaching teams for algorithmic competitions. I participated in preparation of training camps and contests for Russian Olympiad in Informatics and International Olympiad in Informatics (both in Russia and in the U.S.). In 2009 I co-founded a non-profit organization focused on advanced extracurricular education in algorithms for high-school students (5 – 10 grades) in St. Petersburg, Russia. In 2013 it was expanded to Moscow and Yekaterinburg. In the early days we were supported by , and . Now donations are welcome! In 2017 I was representing Team USA in the M30-34 age group at the ITU Standard Distance Duathlon World Championship in Penticton, Canada. 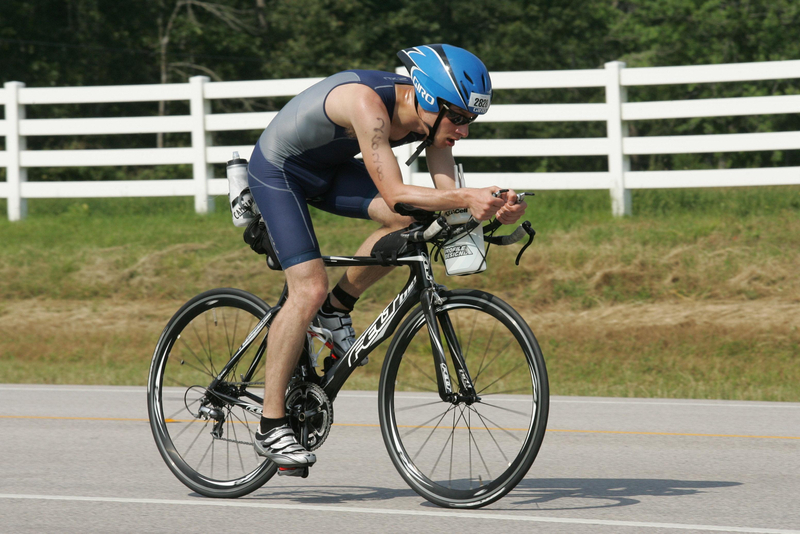 In 2019 I will be representing Team USA in the M30-34 age group at the ITU Long Distance Triathlon World Championship in Pontevedra, Spain. In 2007–2008 I was lucky to be a part of the FBReader team. 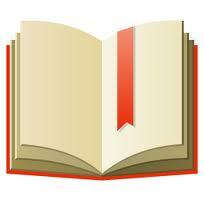 This is an open source free e-Book Reader project. We developed the first version of FBReader for Android (now > 10M downloads worldwide on Google play). There are some things I can't prove but rather just believe in. E.g. this logo I designed and proposed for the CSTheory website. St. Petersburg Academic University is a unique center for continuous education in physics and engineering, run by Zhores Alferov, a Nobel Prize winner in Physics. In 8 years there I finished high school, B.S. and M.S. (a pilot class in theoretical computer science where I was the first student). I am forever grateful to all my teachers during those happy years! Here is a recent video (in Russian) about the new bachelors programs at the Academic University. How to Apply to Graduate School in the United States (by Andrew Ng). Advice for Graduate Students and Academics (by Matt Might, see relevant topics, e.g. “Graduate School”, “Productivity”, “Writing”, “Giving Presentations”, etc). What Qualities Characterize a Great PhD Student? (on Quora, see David Karger's answer). Problem Solving: Solving Mathematical Problems (by Terry Tao). Problem Archives (if research problems are not enough): IMO, IOI, ACM-ICPC Live Archive, TopCoder, Kaggle. Online Seminars on Theoretical Computer Science: TCS+. Workshops: Dagstuhl, BIRS, Bertinoro, Simons Center, ICERM, IPAM, MSRI, Shonan Center, Barbados, Fields Institute, Cargese, Oberwolfach, New York Area Theory Day. Social: TCS community on Google+. Blogs: TCS Blog Aggregator, List of Math Blogs. Q&A: CSTheory, MathOverflow. See also top questions on CSTheory and MathOverflow, including “What Papers Should Everyone Read”, “What Books Should Everyone Read”, “What Lecture Notes Should Everyone Read”, “Advice on Good Research Practices”, “Core Algorithms Deployed”, “Algorithms from the Book”, “Examples of Common False Beliefs in Mathematics”, “Refereeing a Paper”, etc. Comics and Other Fun Stuff (I don't read these, but I know many of my friends like them): XKCD, Abstruse Goose, Ph.D. Comics, Research in Progress. As a member of SIAM I support and follow its statement on inclusiveness. I strongly support cultural diversity and my co-authors come from 15 countries: Belarus, Brazil, Bulgaria, Canada, China, Greece, India, Iran, Israel, Moldova, Poland, Romania, Russia, United Kingdom and United States.